NEW ORLEANS—If the people of Puerto Rico want to see the future of their public education system, they need only look to New Orleans. 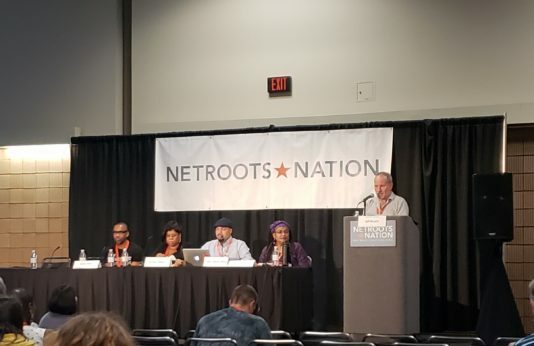 Panelists at the Netroots Nation conference here this past weekend explored the eerie similarities in the “reforms” of two different school systems in the aftermath of disastrous hurricanes. In a session called “Hurricane Lessons: What We’ve Learned from Post-Katrina Disaster Capitalism in NOLA Schools,” experts compared Puerto Rico’s current crisis-overloaded education system to that of New Orleans after Hurricane Katrina in 2005. Their conclusion? NOLA’s education reform story is a lesson for Puerto Rico. The disaster capitalists who swoop in after catastrophic events promising new investment are not coming to help the kids. Their playbook calls for profits. In Puerto Rico’s case, those profits are to be made off the backs of the island’s communities and brown kids. These privatization hawks are teaming up to take the island, just like they did New Orleans after Katrina. 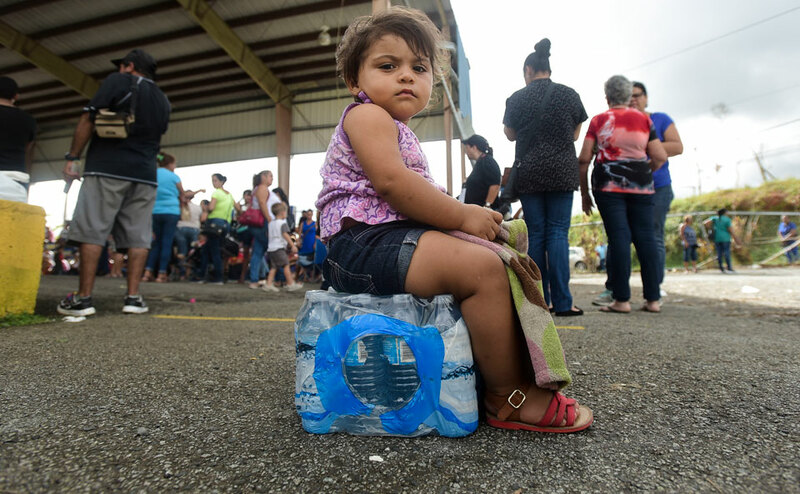 The president of the American Federation of Teachers of Puerto Rico, Dr. Aida Diaz, wrote about the toll that the poor state of the public school system was having on students even before the hurricane. Her 2017 letter exposed a problem that has only worsened since. Hurricane Maria destroyed the island territory in October the same year, sending the system into crisis. Diaz’s words echo those of parents like Netroots panelist Karen Harper Royal who admits that New Orleans’ school system was also in dire need of reform before Hurricane Katrina hit in September 2005. 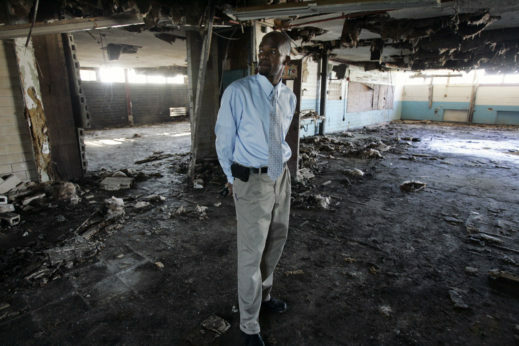 In fact, the disaster capitalist strategy used the pre-Katrina mess to convince the government to privatize a large portion of the education system in New Orleans. Over 91 percent of students in the city now attend charters—compared to five percent before the storm. Each school in New Orleans was given a separate administration and district boundaries were erased. This also meant a vital service became unavailable to families who desperately needed it. Royal says she was told that her kids would be going to new schools in other parts of the city, but there would be no bussing. Royal sued to get her kids and others in the neighborhood access to transportation—something that Puerto Rican parents may have to do as well. Royal says the plan for New Orleans was for the “reformers” to work their way into the system and try out different ways of generating profit through the schools under the guise of helping them recover from the hurricane. The disaster became the best way to accomplish this. Royal told the audience during the panel just how insidious the plan was in those early days. Capitalists circled the hurricane ravaged city at a time when it was still recovering and needed government and public services more than ever. After getting past the dilemma of unreliable bussing, when kids got to school they found teachers who were oftentimes untrained and uncertified. 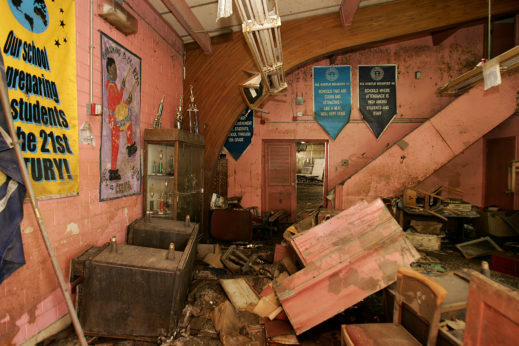 A month after Katrina, all of New Orleans teachers were fired—about 7,000 of them, primarily people of color. The new ones hired were from outside the community and overwhelmingly white. There were also no regular school nurses or medical services to help New Orleans’ school children with asthma, heart conditions, and so many more chronic conditions requiring day-to-day assistance while kids are at school. Royal explained how the students that needed daily medication or oversight by trained medical professionals were on their own. Kids with learning disabilities were left by the wayside. Royal calls the for-profit groups the “Charter School Mafia.” They not only governed the majority of New Orleans schools after Katrina, but also pushed the state legislature to set up pro-charter policies that made reopening neighborhood schools nearly impossible. Royal’s community worked to reopen their neighborhood school yet were forced to turn it into a charter after putting in the work to resurrect the place after the hurricane. Now, 13 years later, parents, teachers, activists, and others are still struggling to free their communities from the system that took hold after Katrina. Mom, writer, and activist Ashana Bigard is candid about the so-called reform efforts and their effect on New Orleans’ neighborhoods and the people who live in them. Trump administration Secretary of Education Betsy DeVos claims that charters give families more options. Education becomes marketplace, with schools competing for students, who essentially are viewed just like potential customers. Schools are supposedly forced to step up and provide better programs and instruction if they want to win over students and their families. However, we now know the opposite is true. Charter schools worsen the system, while draining resources and money from that community. Furthermore, public school practices have been found to benefit students and communities much more than charters ever could. However, just like they did in New Orleans, the disaster capitalists are now pushing private charter schools to “help” Puerto Rico out of its debt and restore its education system. And they’ve got government help. The island’s governor signed a bill in March this year creating charter schools and vouchers, though it is currently being held up by courts. Teachers and their unions are opposed, but Puerto Rico’s education secretary, Julia Keleher, is still pushing a charter system. So are DeVos and Trump in Washington. Why would they do so in the face of all the evidence to the contrary? Julian Vasquez Helig, an education professor at California State University Sacramento, explains: “We have to go back and ask ourselves the question, ‘Why are we experimenting on our children, when we know that works?’ We know what kind of investments it takes to make schools work.” Speaking of New Orleans, he argues that what “reformers” are really interested in doing is “education reform on the cheap, so they can profit and privatize on the backs of black children.” The brown children in Puerto Rico are just as profitable, it seems. Katrina wiped the slate clean on a problem that the state was desperate to hand over to someone else. Enter privatization, where the school system is “saved” from crisis and the bureaucratic red tape that capitalists accuse of tanking any government-run system. It doesn’t matter that there are still problems (ones worse than before); the state is no longer responsible. Puerto Rico’s school system and its public finances could be fixed with an injection of relief funds and cash to get rid of the debt, but no one wants to do that when the stage is set for a NOLA remix. The charter advocates are waiting for the public schools to fall even further into crisis, pushing the privatization solution closer to reality. Then, the creditors will swoop in to feed on the carcass and the charter companies will come in under the guise of saving the schools. Meanwhile, disaster capitalists will rake in the profits on the backs of already impoverished and suffering communities. It’s a playbook of sorts, one that might seem sure to win with Trump in office and Devos deleting protective policies and painting the negative numbers with rosy propaganda. However, the lessons learned by activists, parents, teachers, unions, and students after Katrina offer valuable information that could help Puerto Rico save itself. This is ammo the island’s people need to send the disaster capitalists away—if they can get anyone else on the mainland to listen. 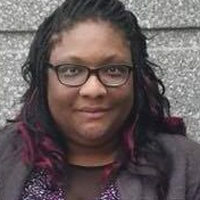 Jonita Davis is a writer, comic nerd, and scholar on the intersection of popular culture and social issues.